The authority launched a public consultation on the proposals yesterday. NEW PROPOSALS BEING considered by the Broadcasting Authority of Ireland (BAI) could change how on-demand streaming sites suggest new content for Irish audiences. The proposals form part of the authority’s draft ‘Media Plurality Policy’, which aims to promote a “plurality of voices, viewpoints, outlets and sources in Irish media”. The authority has identified news filters and algorithms on internet and on-demand media services as features that could prevent users from accessing a diversity of content. Speaking at the launch of a public consultation on the policy yesterday, BAI compliance and policy manager Declan McLoughlin said the absence of legislation for digital media ownership was a “weakness” for the authority. Asked by TheJournal.ie to clarify how the regulation of online algorithms would work, McLoughlin suggested that policies outlining how on-demand players suggested content to Irish users could be introduced. “The reality is that if you’re watching Netflix or those kind of online players, it’s the aggregators suggest content which can limit what you see,” he said. McLoughlin said that while the use of algorithms created both challenges and opportunities, the European Union was not currently seeking to legislate for their use, something which may change in the future. “The message, I think, is that if things don’t improve, then there may be a need for legislative engagement,” he added. The draft is being considered as part of the BAI’s mission for 2017-2019, and its commitment to the Council of Europe to encourage diverse media ownership in the digital age. According to the BAI, such features lead to the “polarisation” of individuals and discourage exposure to a diversity of political views. “The related and evolving concern regarding issues of disinformation, misinformation and mal-information on political, social and cultural matters which is evident via discussions on fake news in the social media sphere and elsewhere,” the draft reads. “While increasing access to trusted and valued content remains an important element of regulation, it must be supplemented with measures to empower citizens to be informed and to make informed choices about their media consumption,” the draft continues. A public consultation into the draft proposals is open until 30 January, 2019 on the BAI’s website, alongside proposals to update the authority’s ‘Ownership and Control Policy’. The BAI expects both policies to come into effect from the middle of next year. Email “Netflix in the firing line as BAI looks to change how streaming sites suggest content for Irish viewers”. 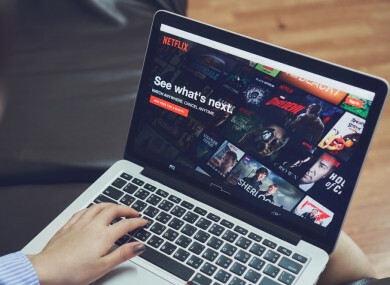 Feedback on “Netflix in the firing line as BAI looks to change how streaming sites suggest content for Irish viewers”.